Speakers sound best when theyre in enclosures. The result is richer mid-range and stronger, deeper bass. These Dash-Pods utilize the available space in every 97-06 TJ Wrangler and will hold 4"x6" speakers. 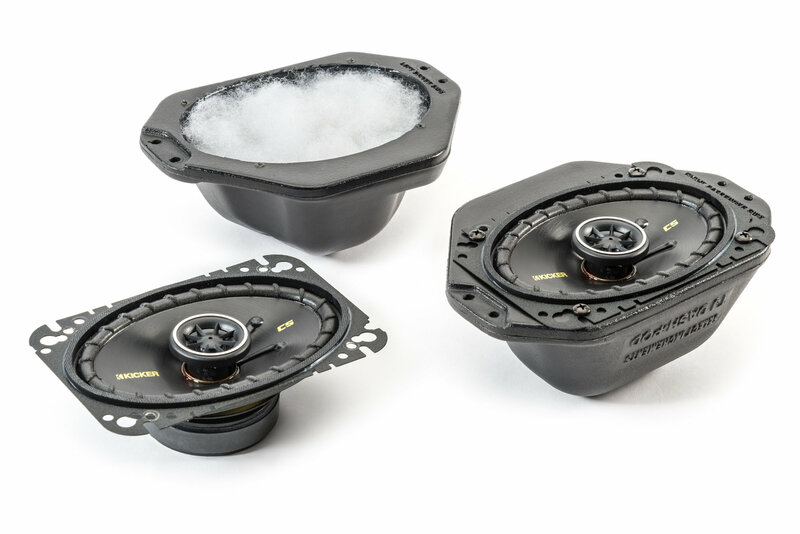 If you have the 7-speaker Infinity® system that was offered beginning in 2002, you can improve on the 4 dash components and replace them with Dash-Pods holding larger speakers. All Dash-Pods include direct-connect plugs that fit your Jeeps factory wiring. No cutting or splicing wires, no soldering, just plugem in and youre done! 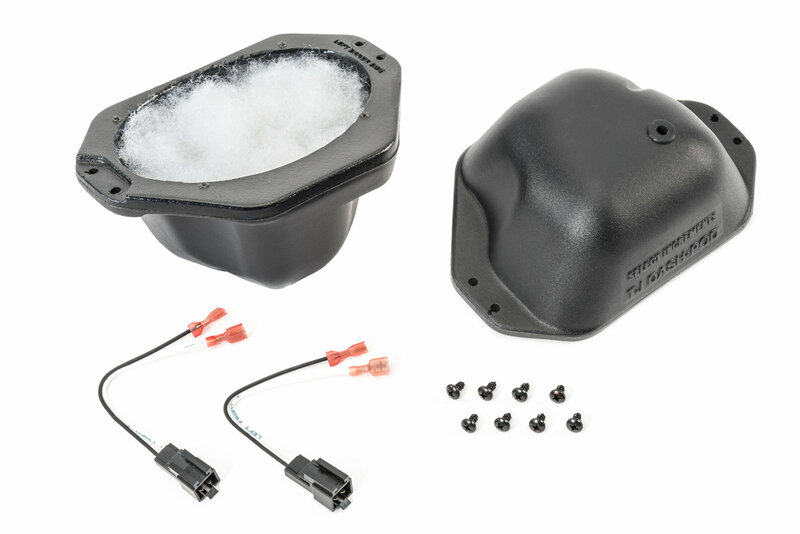 Poly-fill, install-specific speaker mounting screws, and detailed instructions are included. Installation is a breeze and, in many cases, takes only a few minutes with a screwdriver. 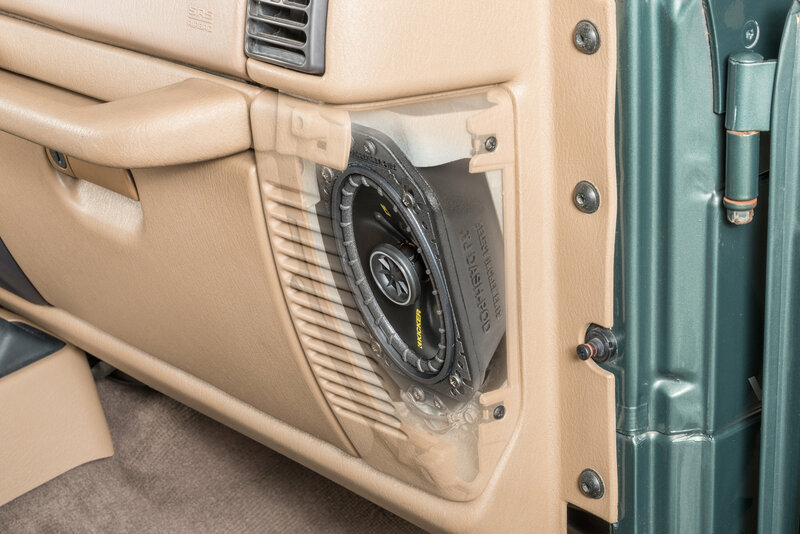 (97-00 TJ Wranglers must remove two 5 sections of bracket with a pair of tin snips to install the Dash-Pods). 1. Trimming may be necessary on some 97-00 model years. Add them to my 2000 TJ and updated the 6 speaker overhead sounds great while driving and top off. Hard to find 4x6 speakers plus the surround pods great value for money. OK if you have a sub.